The evolution of the Church of England's parish system is fascinating to follow. Until a couple of centuries ago, the parishes of England were immutable, created by the Saxons and, apart from a tidying up at the Reformation, unchanged. However, the separation of church and civil parishes in the 19th century began a process that has accelerated in recent years. 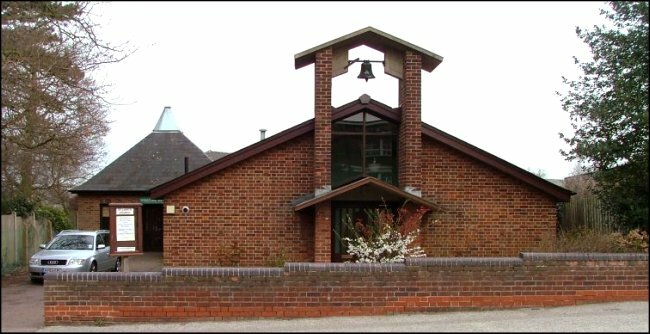 Take St Clement's parish in Ipswich, for example. Until the middle years of the 20th century, it was the most heavily populated parish in town, serving the densely housed docklands and Rope Walk areas. In the 1830s, a chapel of ease was built, Holy Trinity, because the pressure of the parish population had reached such a peak. In 1954, the Parish opened St Luke, another chapel of ease, in the newly populated southern part of their district. This was the old Holywells estate of Cliff House, home of the Cobbolds, sold off for building land in the 1930s. Half a century later, there had been a dramatic turn around. The housing nearer to the mother church of St Clement had almost completely disappeared, and that in Holy Trinity parish was also being replaced by empty lots and light industry. 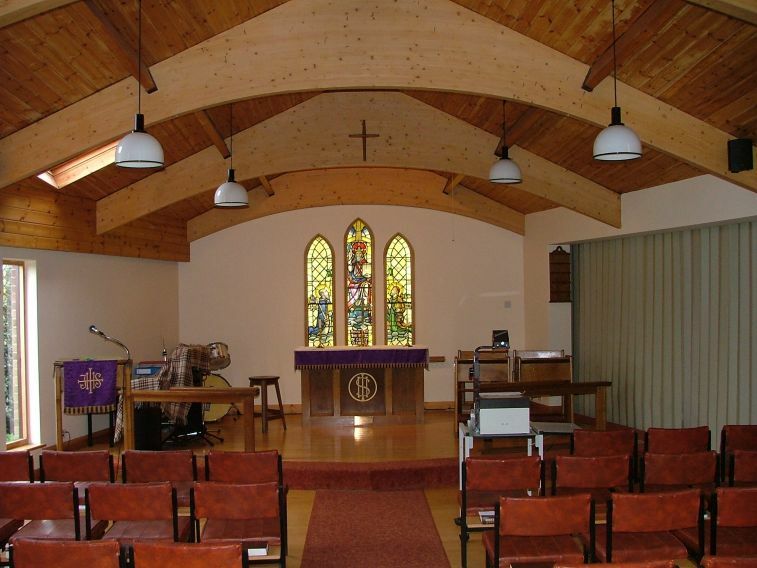 St Clement closed in the 1970s, and Holy Trinity was rescued by the Anglican Diocese's benefice system. And that might have been the end of the story. But in the early years of the 21st century, Ipswich docks underwent a massive regeneration, with thousands of people moving into the area to live in new apartments and houses which replaced the redundant heavy industry. St Luke and Holy Trinity, along with St Helen, have been regrouped and rebranded as the Waterfront churches, serving this developing area. Even now, the story is not at an end. St Luke today is a quiet, restrained 1980s building on the edge of the beautiful Holywells Park. You can see its pretty glass skylight from the park, but that's about all. From the road, it hides shyly behind its hall, the original 1954 church, a rather jolly little building with a bell hanging under a concrete bell-cote, looking for all the world as though it has been transported from a Bavarian mountain village. Without this frontage, you might not even know that there was a church here. Unfortunately, the bell is no longer rung. St Luke seems to have been a popular dedication for Suffolk urban churches of the 1950s and 1960s, especially given that he has no medieval churches dedicated to him in the county. However, you'll find his other modern homes at Lowestoft and Beccles. Ipswich's St Luke is the nearest church to my house; I live about a hundred yards from it, and pass it several times a day. However, as with most modern churches of its kind, it is kept locked, and I have only been inside a couple of times. Most Ipswich people have probably never seen inside of it. This is a pity, because this is such a lovely little building, with the most beautiful east window, featuring the Patron Saint of the church. The interior is oriented correctly towards the east, narrowing towards the sanctuary, with the old church behind a curtain off to the south. A sneaky view of the interior can be had from the path which runs behind it. There, through tall lancet windows, you can see the trim and neatly kept furnishings, and a barrel-vaulted wooden roof. And that's about all there is to say. St Luke fits in rather well with the polite Metroland of Cliff Lane. 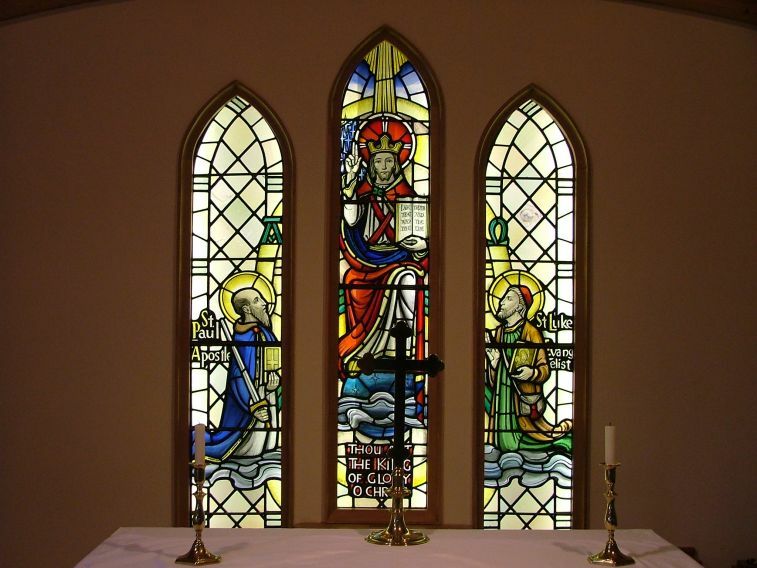 Architecturally speaking, it is perhaps rather too backward in coming forward, although if the community here has the energy to engage with the new Waterfront area, then their church is in for a busy time. St Luke's Church, Cliff Lane, Ipswich is not normally open except for services. Church architectural historians would be greeted with some surprise! Bus number 6 from the town centre stops outside.